Reasons were published today in the case of Bouchard v. Brown Bros. Motor Lease Canada Ltd., 2011 BCSC 762. This case involved a 26 year-old plaintiff whose career was cut short when the vehicle he was travelling in was rear ended by another vehicle. As a result of the accident Mr. Bouchard suffered serious injuries. He claimed, and was able to prove at trial, that he suffered injuries to his neck, mid back and lower back in the accident, including a herniated disc in his low back which eventually required surgery. Mr. Bouchard’s back pain persisted after surgery and ultimately his pain and the impairment of his cognitive functioning due to high dosages of narcotic and non-narcotic painkillers rendered him incapable of continued work as a special effects technician. Mr. Bouchard’s low back was largely asymptomatic for almost two and a half years after the accident, at which time he began suffering intense low back pain with pain radiating into his lower legs. On that basis, ICBC’s lawyers disputed the plaintiff’s contention that his low back pain was related to the accident. The defence contended that the plaintiff’s problems were caused by a pre-existing degenerative condition. Mr. Bouchard’s experts agreed that the accident was a significant factor in the weakening and ultimate herniation of Mr. Bouchard’s disc. ICBC’s lawyers relied on the single medical opinion of Dr. Andrew Hepburn (orthopaedic surgeon). Dr. Hepburn attributed the plaintiff’s disc bulge on “the degenerative process”. However, in cross examination, Dr. Hepburn conceded that it was possible that the accident was involved in changes to the plaintiff’s disc and, finally, agreed that the accident was a factor in the chain of events that led to the herniated disc. Significantly, there was no radiological or admissible medical evidence confirming that there had been a herniation prior to the accident. At para. 23, the Court in Athey explained that apportionment between tortious and non-tortious causes is contrary to the principles of tort law because the defendant would escape full liability even though he or she caused or contributed to the plaintiff’s entire injuries. The plaintiff would not be adequately compensated because he or she would not be placed in the same position that he or she would have been in absent the defendant’s negligence. The Court held that where there is a single indivisible injury, any defendant found to have negligently caused or contributed to the injury will be fully liable for it: at para. 25. It follows that, if Mr. Bouchard’s disabling low back pain was caused or contributed to by the actions of the defendant Naudi, the plaintiff is entitled to recover all of the damages attributable to that injury from the defendants, regardless of whether there are other tortious or non-tortious causes that contributed to his injury. If the motor vehicle accident of February 26, 2005, caused or contributed to the severe exacerbation of the plaintiff’s low back problem that occurred on October 2007, then the defendants are liable for the plaintiff’s damages. I find that the trauma caused by the February 26, 2005 accident weakened the L4-L5 disc, exacerbating and accelerating the plaintiff’s pre-existing degenerative changes. Thus, I conclude, that the plaintiff’s low back injury, including the disc herniation and its consequences, was an indivisible injury. Although most of Mr. Bouchard’s complaints of back pain recorded in Dr. Surgenor’s clinical records until October 2007 related to his mid back, upper back and neck, Dr. Surgenor’s clinical notes do contain references to lower back pain subsequent to the motor vehicle accident and preceding the sudden deterioration in the plaintiff’s lower back in October 2007. Mr. Bouchard received chiropractic treatments in May 2006 for his low back pain. Furthermore, when Dr. Hepburn took Mr. Bouchard’s history in April 2007, the plaintiff recalled having sharp low back pain after the accident. 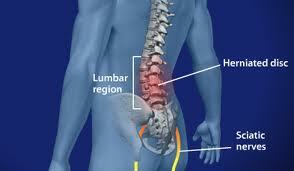 His symptoms in April 2007 included low back pain. Although Dr. Hepburn agreed in cross-examination that the February 26, 2005 collision was one factor in the chain of events leading to Mr. Bouchard’s disc surgery, in his opinion the plaintiff’s chronic disc degeneration at the lumbosacral level would ultimately have caused the plaintiff to experience the severe low back pain he now suffers. In my view, the defendant has established that there was a measurable risk that the degenerative condition of Mr. Bouchard’s lumbar spine would have detrimentally impacted the plaintiff absent the accident. Both the pre-existing degenerative condition of the plaintiff’s lumbar spine and the previous injury to the lumbar spine sustained in the 1998 motor vehicle accident made the plaintiff more vulnerable to injury to his lower back. Here, taking into account all of the evidence, and bearing in mind that there was no measurable risk that the plaintiff would have suffered his upper back and neck injuries absent the accident, but a very significant risk that he would have gone on to suffer serious low back problems, I find that the appropriate percentage discount to apply to the damage awards is 40 percent. The proportion of the reduction is interesting in light of the fact that Dr. Hepburn agreed on cross examination that most people at age 30 or 40 will have some disc degeneration and that many will not develop symptoms. He also agreed that the rate of degeneration is variable and that the course of disc degeneration is unpredictable. In the result, the Court award the plaintiff a total of $2,435,235.51 (prior to the 40% reduction), of which $160,000 was for pain suffering and loss of enjoyment of life.